Dovetailing Tip: When using leftover mashed potatoes, if you have salted them, leave out the 1 teaspoon of salt in the recipe. Adjust the amount of salt as needed in the recipe. Place a large saucepan of water on to boil. Meanwhile, with floured hands, shape the dough into 1 1/2-inch balls. Cook 10 dumplings at a time by dropping into the boiling water. Return the water to a boil and boil gently for about 12 minutes or until dumplings rise to the surfaced and test done when pulled apart with two forks. Drain in a colander or on a clean kitchen towel. Meanwhile, in a medium skillet, combine butter with bread crumbs and cook until golden brown and crisp. Roll dumplings in this mixture and serve immediately. 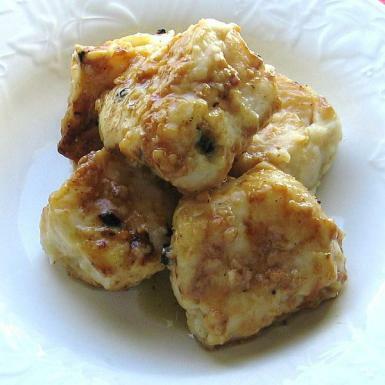 Note: Instead of coating the dumplings in buttered bread crumbs, they can be placed in a roasting pan and glazed with meat drippings from a pork, beef, lamb or veal roast, or roasted chicken.